Google Home Vs Amazon Echo Vs Apple HomePod -Which Is The Best? Google Home Vs Amazon Echo Vs Apple HomePod: Let The Battle Begin! Once upon a time, it was weird to see a person using a Bluetooth headset. We thought that the person was talking to themselves, and when we saw the earpiece we thought they looked funny. Today it's not uncommon to see someone talking to their phone, whether it be asking it what the weather is, setting an alarm or sending a text through your car Bluetooth. 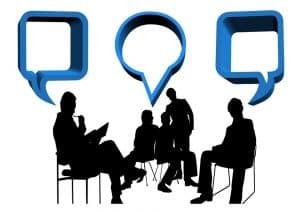 We have all of these amazing tools to command with just your voice, but what is the driving force behind these tools. Personal assistants like Google Assistant, Apple's Siri or Amazon's Alexa ​​are complex programming and hardware that understand speech, people's intentions and more. Companies like Google understand the importance of personal assistants and their application in the home. Smart speakers like the Google Home, the Amazon Echo or the Apple HomePod make things like turning on your lights, calling your friends or creating alarms a simple task. Now we can do things like command out televisions with our voice and more. With all of the options available, which one is the best? That's what we attempt to tackle in this article. Since you are generally spending over $100 and in some cases $300, you want to make sure that your hard earned dollar is making your life easier and not harder. We break down each flagship device and its corresponding personal assistant through its price, search functionality, speaker quality and physical device compatibility and functionality (think smart lights, etc. ), and features unique to that device. Google search is probably the most iconic search platform of all time. You don't "Bing" things, despite Microsoft's best efforts, on anywhere near the scale that you "Google" something. Since "Google it" is almost as ingrained in our culture as "Get me a BandAid", it makes sense that the Google Home would live up to its hype as an excellent smart home product. 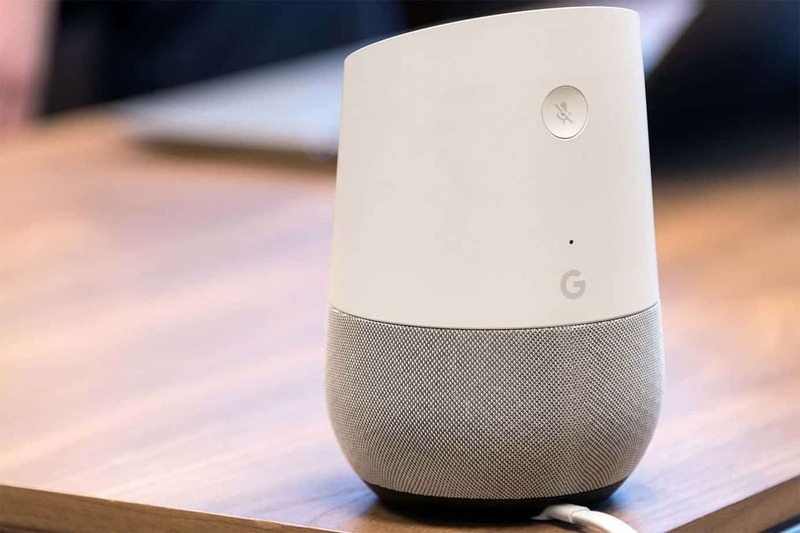 It comes in a smaller, lower cost version as well but in this article, we are just talking about the standard, flagship Google Home. Right now the Google Home is ~$129 for the standard Google Home. This is a middle of the road cost when you compare the prices to the other devices. It's not as cheap as the Amazon Echo, it's not as expensive as the Apple HomePod. It's right in the sweet spot between price and overall functionality. Google Assistant ​​uses Google Search. There is no doubt that when it comes to contextual searching, Google is the best. When you do a Google Search, Google is pretty accurate in how it displays its search results. Usually, you will find what you are looking for relatively quickly, and generally on the first page. While there is no doubt that some search engines look better or have different features that beat out Google Search on a browser, you aren't seeing results when you are performing a search on a smart speaker, this means that it's really important for your information to be accurate the first time. The Google Home has a great speaker. In rooms that you are likely to have a smart speaker in, like the living room for example, it fills the room with good highs, deep bass, and a great vocal range when listening to music. When talking to the Google Home, you get good, clear answers that are easy to hear, both at low and high volumes. The speaker doubles as a good alarm clock and timers can be heard well. As a speaker, it easily deserves the cost that it is given, even without many of the personal assistant features. It should be noted that if you live in a small room with anyone else in the house or downstairs neighbors, his speaker delivers a lot of bass, even at lower volumes. It can mean turning the volume down to something that you can barely hear to avoid bothering anyone else at night or in the early mornings. The Google Home app is beautifully put together as well as supports compatibility with a lot of other home security and home automation devices. For home security, the Google Home is compatible with devices like the Ring Doorbell and the August Smart Lock, thus giving you access to your doorbell control and door lock with your voice. For automation, the Google Home is compatible with Philips Hue and Lifx for your smart lights, and your iRobot vacuum cleaner as well as many others. For television, your Google Home will connect to the Chromecast to control apps like Netflix through your television, simply by saying a command like, "Hey Google, play Stranger Things on Netflix". On most new televisions, the Google Home can also use the Chromecast to turn the TV on and off as well. This provides a totally hands-free TV watching experience. It should also be noted that the Chromecast can be used with smartphones as well, thus expanding the app selection by allowing you to use your smartphone as the remote. Google says that they support over 5,000 different smart home products. For a full list of compatible apps and features check out the Google apps and partners page here. One of the best things about Google Home products is that they all work flawlessly together. Chromecast, Google Home, and your Google Home app on pretty much any smartphone will give you full access to your favorite entertainment, anywhere in your house that you wish. The presentation is nearly flawless and, although you can't control every television app with your voice, you can control lots and lots of apps. Anything that you can't control with your voice, you can almost assuredly control with your smartphone. The Amazon Echo was a great player for those that are heavily invested in Alexa or those that have a lot of Amazon products already. While Google makes an excellent case for being the Jack of all trades, the Echo narrows down a bit and specializes in different things. The Gen 2 Echo costs just $99 and is priced at the lowest end of flagship smart speakers. The cost does justify some sacrifices, but whether or not you see these as sacrifices really depends on what ecosystem you are involved with. Obviously not every smart speaker can use Google since they own their own very successful product line. Because of this, the Echo speaker uses Bing. Whether or not you find Bing to be a drawback really depends on your own preference but there is no denying that Google turns up more accurate search results in most cases compared to Bing. Now it is true that Bing is great for images and has a really great looking interface, but when you are speaking to your smart speaker, it's not going to show you an interface, it's simply going to speak an answer to you. Because of this, many prefer Google, but again, it's really dependent on what you prefer. It should also be noted that you can use Alexa Skills to ask Alexa to Google something but that is extra work and not part of the out-of-the-box functionality. One final thought on the voice interaction. If you have a friend named Alexa, consider changing the wake phrase. Unlike the "Hey Google" or "Okay Google" phrases, the Echo only requires the one word "Alexa". This is a simple fix by just simply changing the wake phrase to something less commonly used if you are having any issues. The quality of the speaker is not as good as the Google Home in that it doesn't sound as clear at higher volumes although for $99 it is good and it's hard to complain about. If you aren't a total audiophile, you won't be bothered by the Echo. The Amazon Echo works with nearly as many devices ​​as the Google Home. From Lifx to Philips Hue to smart vacuums, you will be able to accomplish the same tasks that you are on the Google Home without much difference in how you interact. The interface on smartphones is a little more cumbersome in my opinion to the interface on the Google Home, however, this is something that you will get used to over time if you use it a lot. The Echo has quite a few features tucked under its belt that make the device more customizable to what you want and the features that you need. Because the Echo is powered by Amazon's large store you are able to make purchases ​​with your voice. This means that you can tell your Echo that you'd like to order or reorder something from anywhere in your home. Amazon requires that you are a Prime member and will use their 1 Click Checkout feature. If this sounds immediately horrifying to you than you are not alone. Amazon knows that people have children or mischievous friends. Because of this, Amazon allows you to add a voice passcode if you'd like. 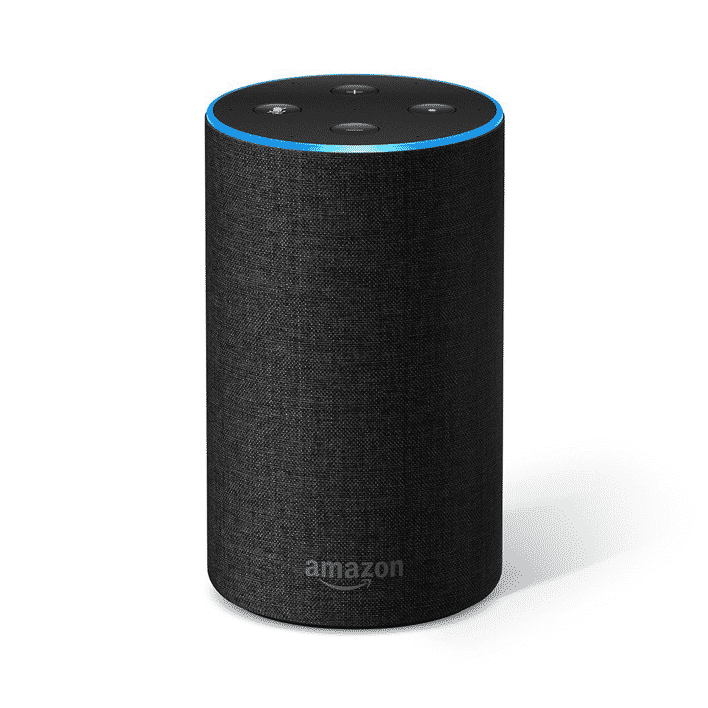 Amazon also knows that you may order the wrong thing by accident or that it may mishear you and so it has also enabled free returns for purchases made by voice on an Echo device. Another very nice feature that Amazon has included is the ability to use apps developed by third parties. These are called Alexa Skills and they can be downloaded through the smartphone app. All you need to do after downloading a skill is to say the activation phrase that the skill tells you to use when you download it and voila! You are hearing the calming sounds of rain on a tin roof before you can say Alexa Skill. As I mentioned above, the Echo is compatible with the Fire TV and allows you to control your TV with your voice, provided that you own a Fire TV. Possibly one of the best features of the Echo for audiobook lovers is the ability to listen to your audiobook library on Audible, straight from your Echo device. If you've looked at e-readers like the Kindle Oasis ​​or the much less expensive Kindle ​​, you've probably seen that Amazon has included support for Audible. You need to connect to a Bluetooth device like a speaker or headphones, you are also limited by the internal storage on how many books you can actually have downloaded at a time. The Echo eliminates these issues by allowing you to use the built-in speaker by simply saying “Read [title].” or “Read the book, [title].” or “Read the audiobook, [title]." You can also go back, forward, pause, resume and more, simply with your voice. For a full list of Audible commands, check out Amazon's support page. 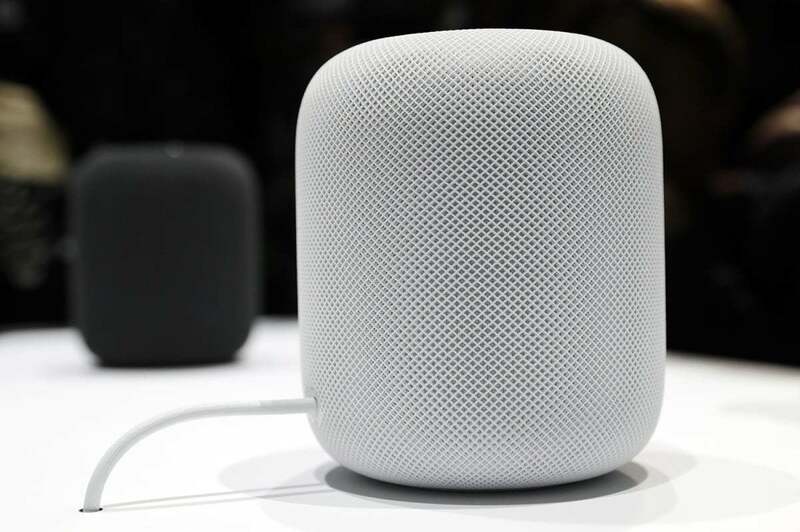 The Apple HomePod is both the newest and hardest to type out addition to the smart speaker competition. It's designed to work with Siri ​​and integrates well with Apple HomeKit ​​certified devices. Like all Apple devices, it's built well, looks good and costs well above the average asking price for similar hardware. The question is, does it deliver, or is the cost high for no apparent reason like was the case for the MacBook line before it was recently refreshed. The Apple HomePod is $350, that's over twice the cost f the Google Home and over three times the cost of the Echo. This review is not about any of the other variations of the Google Home or the Echo but both of those companies offer lower cost versions while Apple does not. This leaves consumers with little choice but to shell out the big bucks to maintain their Apple integration across all devices. If you don't own many other Apple products or aren't bought into Apple's services like Apple Music, it's really difficult to recommend this device as someone's smart speaker because of the huge cost and walled off functionality when compared to the competition. Because Apple isn't trying to directly compete with Google in the smart home universe, the HomePod comes equipped with Google Search. This means that you will have the world's most popular search engine when performing internet searches. This also means that you will have the exact same search technology that exists on the Google Home, for less than half of the price. While I don't believe that price is everything, it certainly means that it will garner more criticism when the industry cost standard is much much less. One thing that Apple has always gotten right in my opinion is the sound quality of its devices. I fell in love with the audio in my first iMac and that carries through iPhone and MacBook for me. The Speakers are very loud and clear. I tested the quality of the speaker at a local BestBuy where I'm sure I irritated everyone in the store by being "that guy", but it was for science and needed to be done. The Bass on the HomePod is fantastic, the highs are clear and there is no distortion on basically any song that you will ever play on your HomePod. Because of Apple's locked down ecosystem, there aren't as many devices that are HomeKit compatible as are compatible with the Google Home or the Echo. That's not to say that you won't be able to garner the same functionality from the HomePod that you can from the competition. Just be sure that all of the devices that you already own are compatible and that all future device purchases are compatible with HomeKit. It should also be noted that the HomePod does not really offer true functionality with the Apple TV, meaning that, while you can use the HomePod as a speaker for your Apple TV through some tricky methods, you cannot control your TV like you can with the other smart speakers. You get Siri. Whether or not that counts as a unique feature or not is up to you. There's really not a lot of other unique features that the HomePod has to offer. 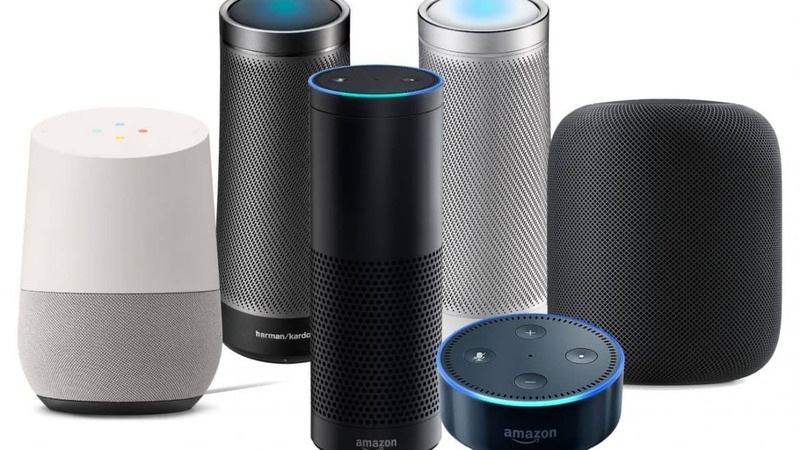 In a world with so many options, it can be really difficult to choose a smart speaker that fits your home, even with all the information, so which device do we think is the best bang for your buck? Well, there are two answers to that question. If you don't use Amazon a lot, or you just want something that is open and easy to use with pretty much any device, get the Google Home. It can be customized to match the colors of the room, it's got great compatibility no matter what smartphone you are using, it's very easy to use with a Chromecast and the audio quality is great. In every other case, get an Echo. Bing isn't the greatest and there are some quirks with smart home and home automation and security products, but they work. The Echo might not have the best speaker but it's the most affordable. Amazon has made Alexa Skills so that if you can't find a feature that you want, you can probably find it in the Alexa Skills section of the Alexa app. There are Alexa Skills for everything from games to calming sounds. And while "Alexa" can be an annoying wake word, you also have the ability to change your wake phrase to anything that you want it to be. 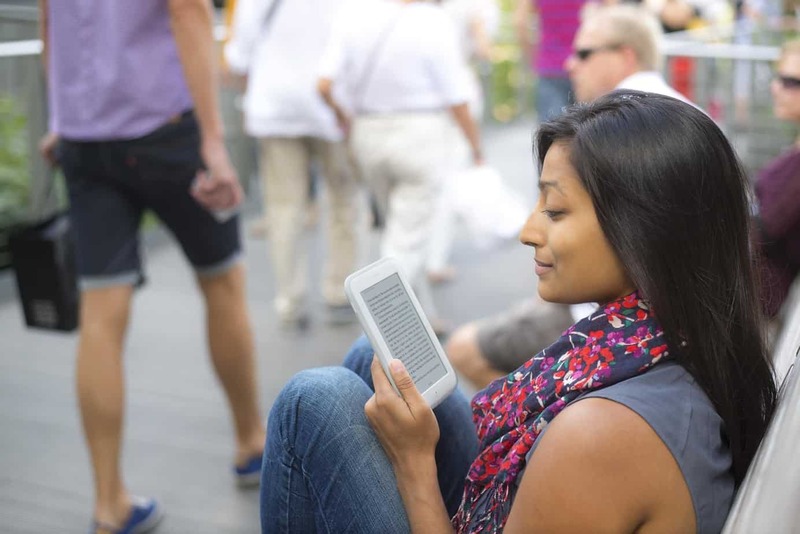 Audible brings the game-changing audiobook feature to the Echo with the largest selection of audiobooks online, as well as the ability to listen to them straight from the cloud, in any room with an Echo device. Again this is not about other devices ​​but I'd also like to give Amazon a special shout out for creating several different devices for all kinds of purposes from visual clocks to larger screens for recipes and more. As always it’s your turn! The Smart Speaker and, more broadly, smart home market is the most rapidly growing market in consumer technology. With that being said, have you heard of smart speakers before? If you have, do you own one? Which one did you get any why? Do you possibly own an Apple HomePod? Why did you purchase it and are you happy with your purchase? Let us know in the comments below. NOOK GlowLight 3 Review: A Good EReader But With The Familiar Flaws! Google Home Review: Do We Finally See An Amazon Echo Challenger?